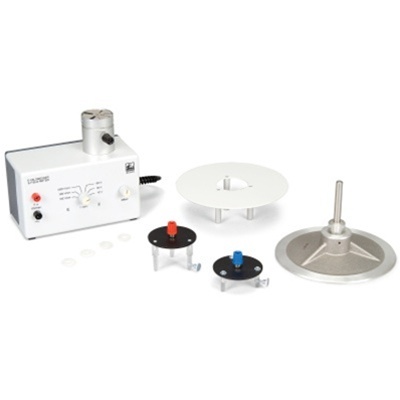 Instrument for static measurements of electric field strength or electrical potential. A star-shaped modulation vane-wheel connected to earth is mounted a short distance in front of a measurement electrode, also star-shaped. 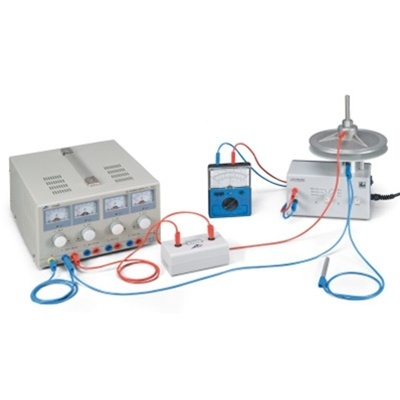 Influenced by the electric field, the charges generate an alternating current proportional to the field strength. This alternating current is measured via a selective amplifier without the electric field experiencing any average energy loss over time. When used in conjunction with voltage measurement plates, the instrument can be used as an electrostatic voltmeter. The device is protected against excess voltage. A standard DC voltmeter can be used for display.